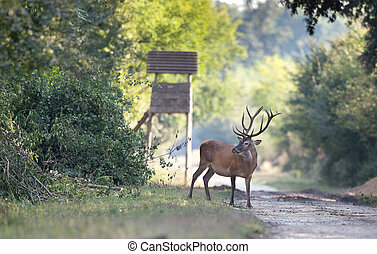 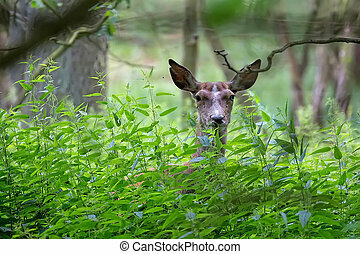 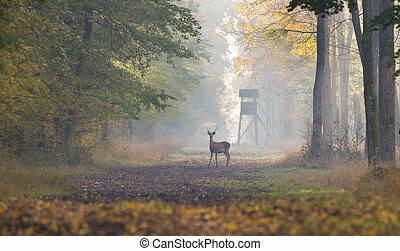 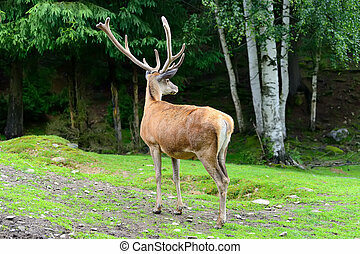 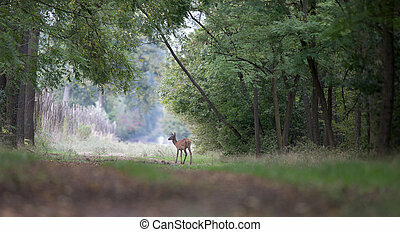 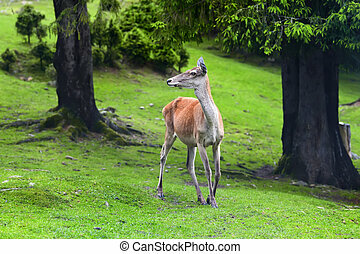 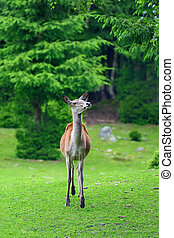 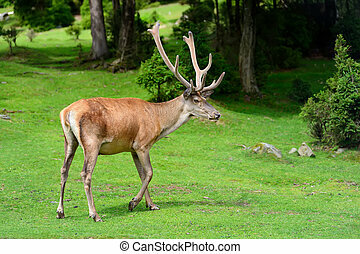 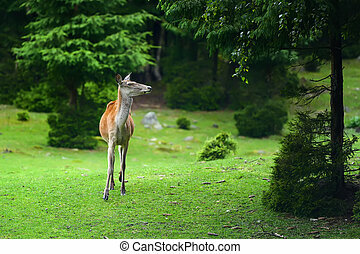 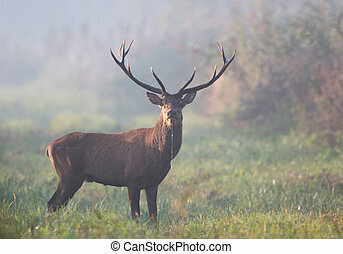 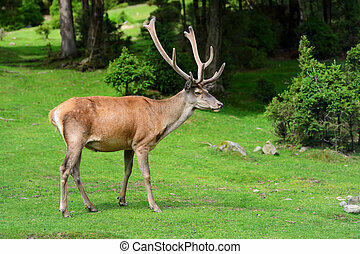 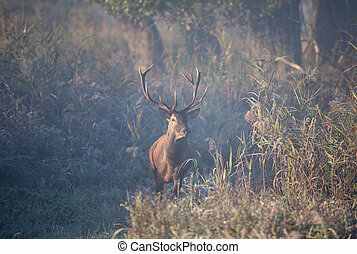 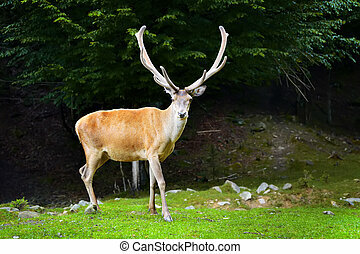 Red deer standing in forest. 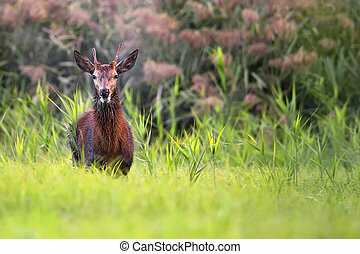 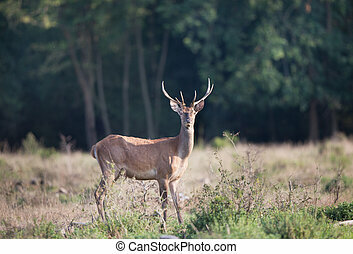 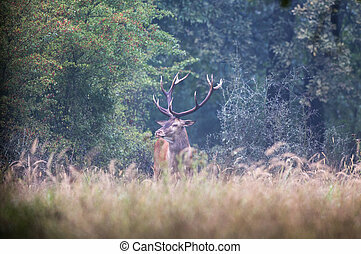 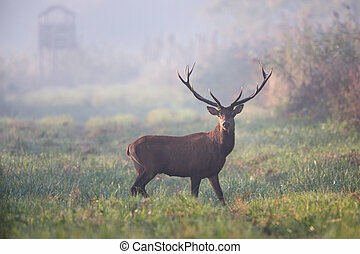 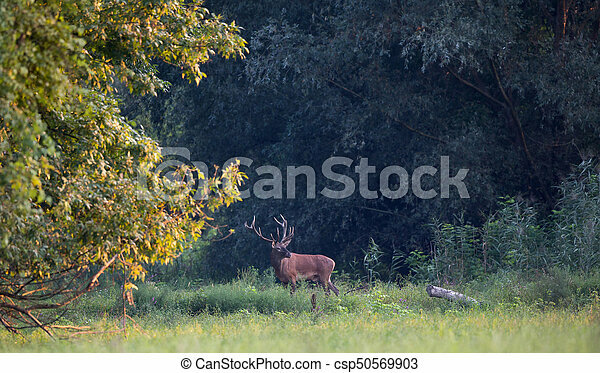 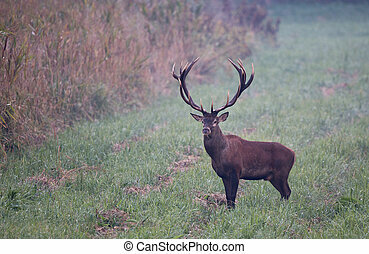 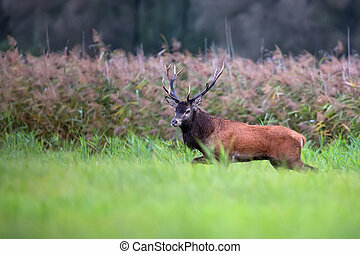 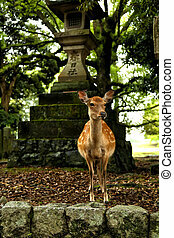 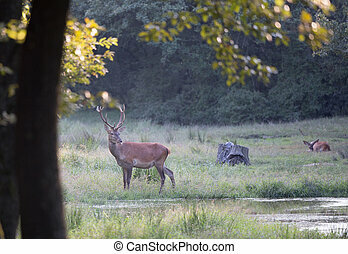 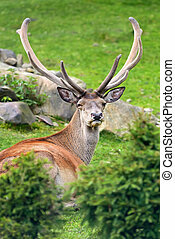 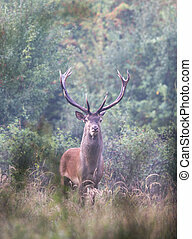 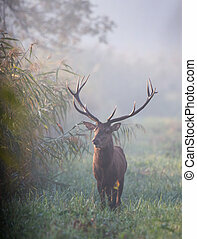 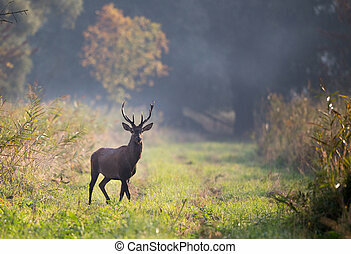 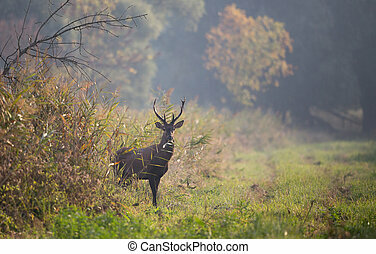 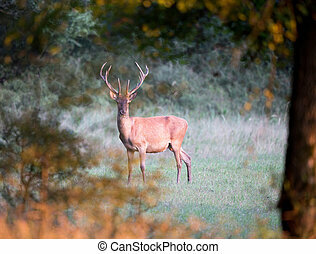 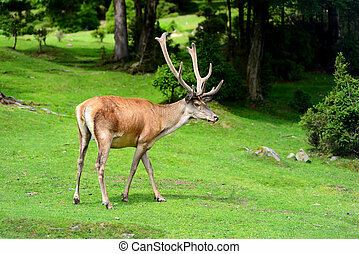 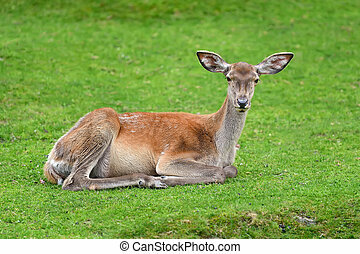 Powerful red deer standing on meadow in front of forest in late summer. 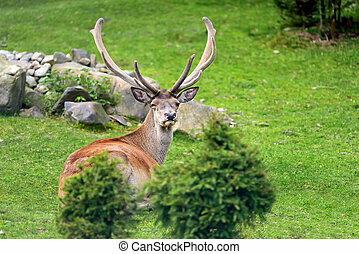 wildlife in natural habitat.